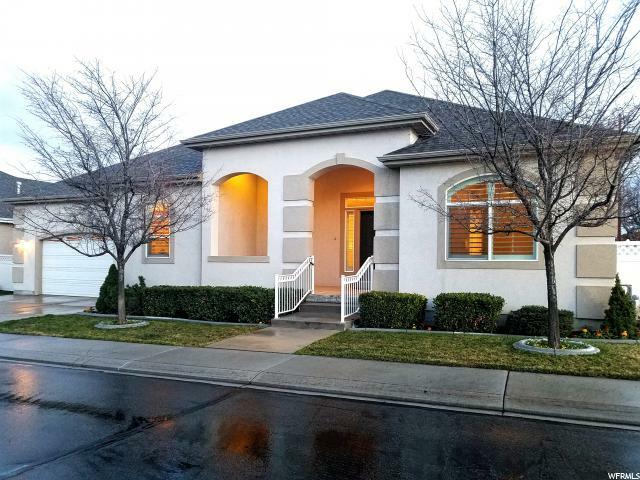 All REUNION ORCHARD homes currently listed for sale in South Jordan as of 04/18/2019 are shown below. You can change the search criteria at any time by pressing the 'Change Search' button below. "Highly sought after rambler. Located in a great gated community! Lovely kitchen and large great room. Separate office. Shop with a 1/2 bath off the garage area. Second kitchen with a huge family room. 3 large bedrooms down, oversized storage and a cold storage. New carpet upstairs, real hardwood floors recently refinished and fresh paint.Generator included !"